I hate doing top 10 lists because I am going to make some huge embarrassing oversite and I really don’t have any objective way to order what makes the list. That being said, this list consist of my own personal favorites from the world of literature as someone who grew up in a western society with all the cultural baggage that comes with it. These are books where the aliens are alien, and their otherness gives us a new perspective on our own identity and culture. HG Welles’ story about martians landing on planet Earth is still a hauntingly gripping tale and inspired nearly a century of alien-invasion stories and film adaptations. Welles sets the standard for otherness storytelling by wisely never explaining the meaning behind much of the Martians’ actions, leaving the reader to wonder in horror along with the protagonist navigating the war-torn landscape. I’ve written more on this novel here. 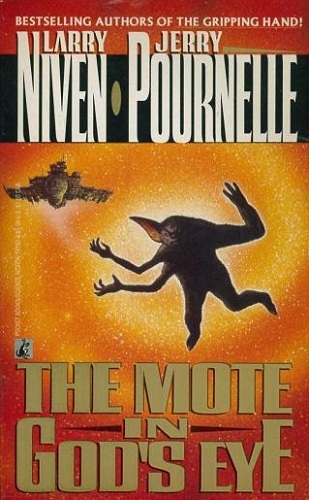 Larry Niven and Jerry Pournelle’s 1974 story of first contact with an alien race the humans refer to as the “Moties,” is filled with twists and turns. The alien race is ancient to the point of having evolved into many different species that coexist through different specializations, but its technological progress is strangely stunted and the human delegation discovers museums around the planet meant to help rebuild civilization after a collapse, which appears to happen on a regular basis throughout Motie history. The reason for these collapses has to do with a dark secret about Motie biology, which serves as a warning to human civilizations as well. 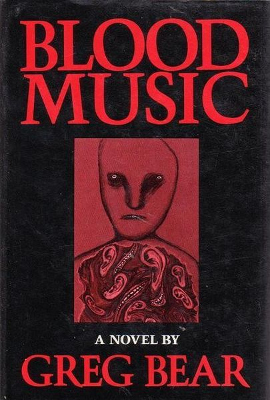 Greg Bear’s 1985 novel about a scientist engineering living cells to store information and who injects those cells into himself when prosecuted for unethical research, is also an apocalyptic story about the pandemic this act causes. The cells find their way into the population, transforming the bodies of those they infect to better serve their own needs, quickly transforming North America into a mass of alien organs networked with veins. The story is told from a variety of viewpoints, from those who are uninfected but stuck in the alien landscape to those of people in foreign countries watching in horror at what has become of America’s population. I first encountered Theodore Sturgeon’s 1953 novel in a college course on science fiction and it has kind of stuck with me ever since. The story chronicles the formation of a gestalt organism out of misfit, outcast human beings who all possess different powers, from telepathy, teleportation, to computation. Together they are a mouth, limbs, and brain. 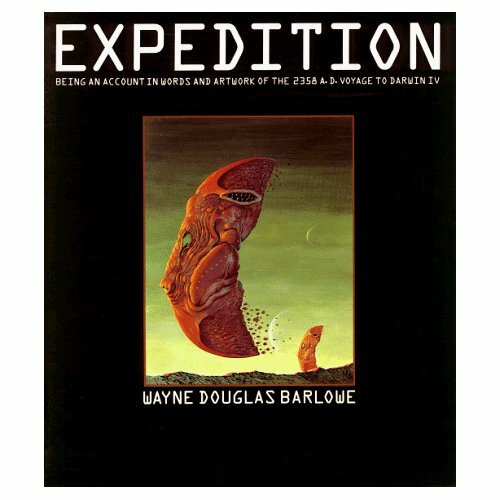 Wayne Douglas Barlowe’s illustrated account of the 2358 A.D. Voyage to Darwin IV has become a collector’s item and was made into a fictional documentary by the Discovery Channel titled Alien Planet. It resembles the books written by 18th century naturalists, brimming with illustrations of fascinatingly alien life, some of which runs on two legs one in front of other like horses, some are lumbering behemoths taking nutrients in through their feet, some float in the air using balloon-like organs, but none have eyes that receive photons like ours do. You can check out a nice sampling of these aliens here. 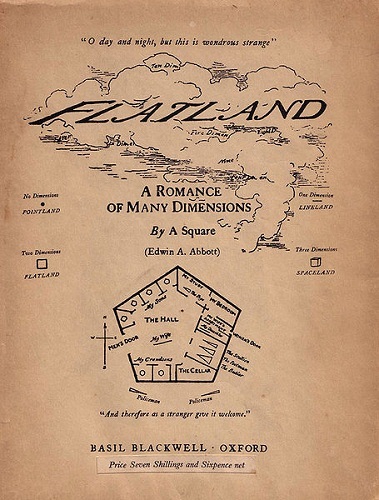 Edwin Abbott Abbott’s 1884 Romance of Many Dimensions explores what life is like in two dimensions, but the story was also a scathing criticism of Victorian culture with its class hierarchies and chauvinism. I’ve written more on this book here and a comparison of its two film adaptations here. Stanislaw Lem wrote some of the most thought-provoking science fiction out there, and it’s difficult to choose one of his many novels dealing with the concept of Fermi’s Paradox and his explanation that if extraterrestrial life exists out there, it is too alien to contact. 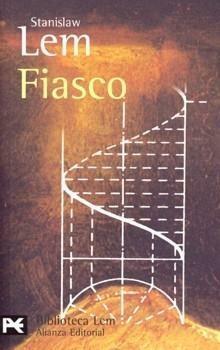 Fiasco involves a ship sent to make contact with an alien civilization with tragic consequences. From their first encounter, the aliens are impossible to comprehend; from their legion of communications satellites apparently at war with one another to the ring of ice put into orbit for the purpose of producing a perpetual rain of moisture down on the planet, the human visitors are first puzzled and later angered by their inability to establish contact with the inhabitants through demonstrations of awesome military power and laser projections into the clouds blanketing the planet. When the aliens are finally revealed, the mystery only deepens. 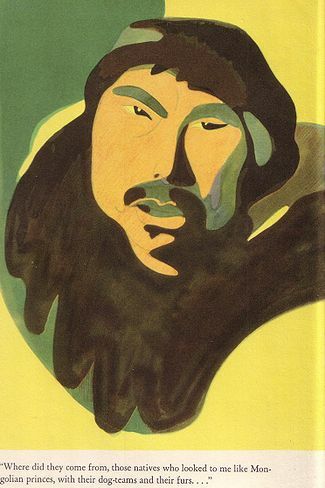 I’ve previously written about Gontran De Poncins’ nonfiction tale of the anthropologist’s experience visiting Eskimo tribes, heading further and further north in hopes of finding one that had never encountered a westerner before. It’s remarkable for the way is objectively relates the customs and thought-patterns of these native peoples, from their practice of euthanizing old people, sharing their wives with visitors, and thinking little of murder. They never come across as malicious, but innocent in simple in their thinking, as when westerners begin to prosecute them for murder and tales of warm jail cells with free food spark a crime wave of Eskimos seeking to be imprisoned. 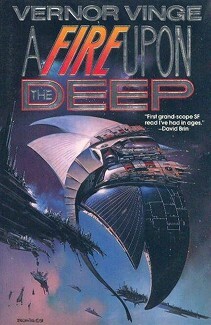 Vernor Vinge’s 1993 novel is one of the deepest, most brilliant world-building exercises I’ve ever read. 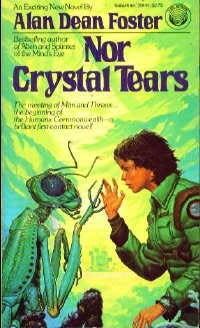 What makes the otherness of his aliens so intriguing is the way he lets the reader into their heads when possible. There are the skroderiders, tree-like aliens that a more advanced unknown race equipped with wheels to make them mobile and computers to give them short-term memory. There are the “Powers,” consciousnesses that have transcended our reality, with motivations and behaviors beyond our comprehensions, and there is the “Blight,” a sort of sentient computer virus that uses the galactic internet to destroy worlds and spread confusion throughout the galaxy. 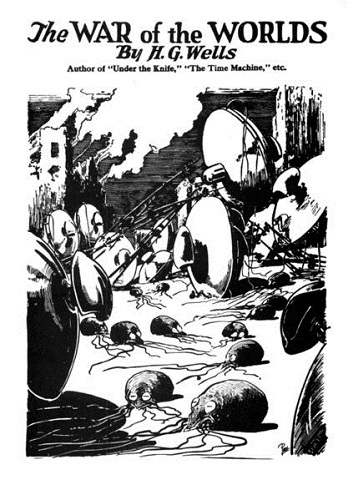 But the most intriguing aliens in the novel are the Tines, doglike creatures that form multi-bodied organisms. A pack of these creatures will form a single individual, their brains networked through sound vibrations to form a single consciousness. Because these networks rely on sound, individual tines cannot get very close to each other, lest their brains begin to interfere with one another and mating is an act of pure bestial confusion. When too many members of an individual Tine die, the remaining members are crippled. When one of the tines obtains the technology of radio broadcasting, it is able to spread its different bodies out far and wide, making it quasi-omniscient compared to other members of the species. All of these different forms of consciousness and culture take place in a story that is both exciting and satisfying intellectually. 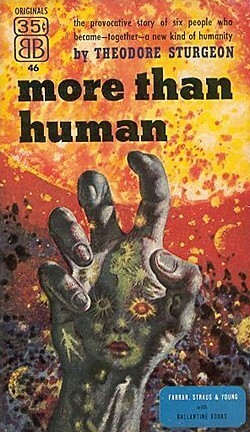 Solaris: Another of Lem’s great books about a planet covered in an ocean of living cells that begins to experiment with the human visitors exploring it. Forge of God: Greg Bear’s novel about a variety of alien visitors who appear on Earth following the disappearance of one of Jupiter’s moons is about the concept of Von Neumann Machines that replicate across the Universe, but their intentions are hostile. Sentenced to Prism: Alan Dean Foster’s book exploring the concept of silicon-based life has a fantastic and creepy first half, but kind of falls apart halfway through in terms of otherness, but is a fun pulpy fiction nonetheless. Flatland: Also check out Lineland. Basically the same thing but more math, less sociology. Childhood’s End: Reminds me of Kurzweil’s singularity in some ways, except that’s not at all what’s happening. Rendezvous With Rama: Good fun. The City And The Stars: My favorite Arthur C. Clarke book and favorite book period (of course, I don’t read much), some amazing concepts in there. Have gotten multiple others to read it and they all really liked it. It’s a re-write of his first novel ever. Your list of “otherness” novels got me thinking. (Isn’t every novel an invitation to some realm that is “other,” but all novels don’t accomplish that to the same degree.) My own list would include pieces by Kurt Vonnegut, R. A. Lafferty, Jack Vance, and Olaf Stapledon. Now I know why I posted this article, I was eager to hear suggestions from others about their personal favorites.